Foreigners planning to move to Finland but are not very adept with the country’s culture might be surprised to learn that the sauna is an important part of the Finnish household and culture. Those who are fond of the astral phenomenon should witness the Aurora Borealis or the Northern Lights in Finland during the seasons of fall, winter, and spring. A land with 5.5 million people enjoying beautiful forests, snow-capped mountains and cities that promise an upscale, yet quiet, a new life for an expat; Finland has so much more to offer than you would imagine. Sharing borders with Sweden in the west, Russia in the east, Norway in the north, and Estonia in the south, Finland holds true to the magic of the European life; a pulsing urban life with a cabin in the woods to escape to during the weekend. With only about 15 inhabitants per square kilometer, Finland is top of the list of the most sparsely populated European nations. Its topography is mostly composed of flatlands covered with coniferous forests, which make up almost 75% of its landscape. Sharing space with the green are more than 180,000 lakes spread out across the country. The best climate is found in the southern part, where winters last four to five months and summers about four months. The Finnish call it the ‘endless summer and endless winter' of their land. The rest of the year is mostly humid and semi-continental. But amidst the backdrop of lakes and greenery, Finland thrives as a highly urbanized destination. Coming first in the Legatum Prosperity Rating, Finland proves itself as a nation of exemplary economic performance, which translates to a good quality of life for its people. 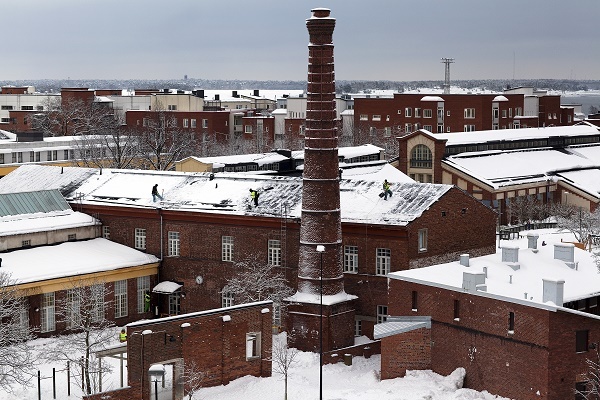 Finland has a highly industrialized economy, the leading sectors of which are services, comprising 65.7%, followed by manufacturing and refining at 31.4%. This Nordic country is the home of the world-market leader in handheld phones, Nokia. Finland is far from being a country known only for exporting wood and paper products but is also a success story in the field of high tech. The country's employment rate is at 60%, 1.8 million employees of which are in the private sector. Not a country of extended families, Finnish homes average only two persons in each household. The average cost of a house is about 1,187 Euros. Coursing the way through Finland is an extensive network of main roads, about 13,332 kilometers in length. With 74% of households having at least one car, this road system is one of the primary means of getting around. Another is the railway system operated by the VR Group, for which taxpayers pay around 350 million Euros for maintenance. International passengers' main gateway to Finland is through the Helsinki-Vantaa Airport while international cargo mainly goes through the Vuosaari harbor. 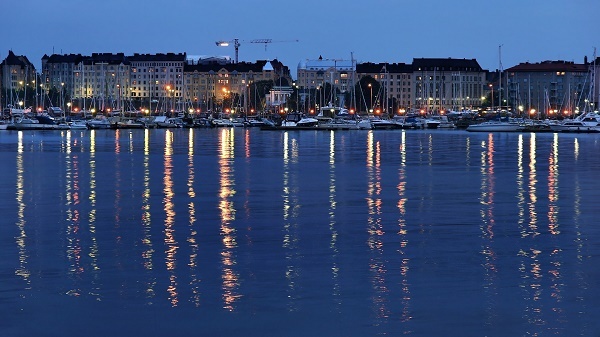 But before you book your flight to Helsinki, you need to take care of permits and visas. If you intend to reside permanently in Finland, submit your application for a first residence permit through a Finnish diplomatic mission in your home country. Charges can amount to 400 Euros. European citizens need not secure a visa to enter the country while US Citizens can enter and stay without a visa for up to 90 days. An expat who intends to work in Finland must have a residence permit for employed individuals, except those who are citizens of the European Union and other member states. And finally, aside from permits and your favorite coat, an expat should also have some understanding of the Finnish culture. The Finnish family is concentrated primarily on the nuclear family. One of the more traditional activities includes vacationing in a cottage by the lake, which would most likely involve going to a sauna. In fact, the country boasts 1.8 million saunas, more often than not, a fixture in Finnish cottages. The native language is Finnish, and 5.5% of the population speaks Swedish. Finns have a passion for music, both classical and more contemporary modern music. 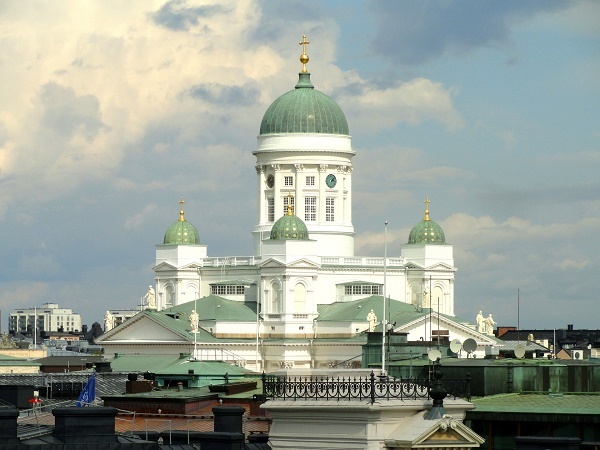 A large portion of the Finnish population is part of the Evangelical Lutheran Church, with 4.3 million members. Of late, the percentage of Finnish people with no religious affiliation has grown to 16.9%. Finland is one of the most beautiful Nordic countries in Europe located alongside Russia and Sweden. Aside from its popularity as “The Land of the Thousand Lakes”, Finland is also known for being a large manufacturer of mobile phones. Many expats choose this country because of its widespread of economic prosperity for the past few years. So if you are gearing towards career growth and financial improvement, Finland is just the place for you. Take a look at these few but very helpful guides that can make your move successful. You can look for real estate listings on Finnish newspapers or online portals where you can find several agencies that can help you with your search. The local municipalities also keep information and directories of rental accommodations so it's worth checking with them. A huge majority of rentals in Finland are unfurnished, but most have a small kitchen with oven and refrigerator. Also, some apartments charge extra for utilities. The average monthly cost of essential services in the city such as water, gas and electricity is €90. Your internet connection is around €20 per month and a minute of local prepaid mobile call is charged €0.10. Rental accommodations are few in Finland that’s why most expats opt to buy properties. Even in major cities, you will still have a hard time finding one. Out of the few that are available, the most common type of rental will be an apartment because houses for rent are very rare. Landlords will ask for a maximum of 3 month’s rental for security deposit upon moving in. Bear in mind that as you move closer to the city, the higher the rental price is. Helsinki is on top of the list for expats since it is the capital of the country and where you can find some of the apartments. There are malls, supermarkets and restaurant that will meet your everyday needs. Living here will also make you conveniently near to the business centre. The average monthly cost for a one bedroom apartment in Helsinki is €900 while a three bedroom unit is around €1700. Another famous neighbourhood in the country is Turku, located in south-west Finland. Here you will find the Plough River, which is the heart of the city. On weekends, you can take a walk through its medieval streets or set up a picnic with your family by the riverbank. In Turku, the average monthly rent for a one bedroom apartment is €600. You can also find a three bedroom unit for the price of roughly €1100 per month. Finland takes pride in its educational system and provides free education to all children and full-time students. It is compulsory for children ages 7-16 to be enroled in school. Everyone in the country is given equal rights for education regardless their nationality, language, age and financial status. You can find prominent international schools in Finland like the Finnish International School of Tampere and the International School of Helsinki . Even private schools are not allowed to charge fees. Most of the best private schools are faith-based but there are also well established local schools that provide quality education like the University of Helsinki and the University of Turku. Many shipping and removal companies provide ‘door to door’ services. They will take care of the whole moving process from picking up your belongings to delivering it to your new home. Shipping time always varies depending on your country of origin, but the average transit time to Finland is 14-16 days. The largest port in the country and where most containers arrive is at the Port of Helsinki. All pets entering Finland should have the original copy of their Rabies Certificate upon arrival. You should also get a Commercial EU Vet Health Certificate from your veterinarian which is a standard health certificate for all domestic animals. The whole relocation process is not easy, especially if it's your first time. But as soon as you’re done with these basic preparations, the next thing to do is to brace yourself as you are about to witness the breathtaking Aurora Borealis; Finland's majestic Northern Lights. Bordered by powerhouse nations such as Norway, Russia, and Sweden, Finland is a country known for its high quality of life. It is also no mediocre when it comes to natural beauty whereas its spectacular array of landscape brings a one-of-a-kind experience to locals and expats alike. Many expats living in Finland work in the Information Technology and Healthcare sectors. This country is one of the best places on earth for you to bring your family because the society puts great emphasis on the importance of work-life balance. Finland is also known for being a social welfare state whereas it provides unparalleled support to its residents and immigrants. Foreign nationals who will work and stay in this country are eligible for integration services such as language classes, employment search and forming contacts with the local society. Here, the government exerts considerable effort to help every expat secure a smooth transition to Finnish life. In 2016, Finland ranked as the 8th country in the world with the highest quality of living. It is a benchmark when it comes to education, work conditions, environmental cleanliness as well as public and personal safety. Expat parents will be glad to know that the Finnish society puts the welfare and happiness of the children above anything else. Here, class hours are fewer compared to other countries and it is designed in a way where kids will more time to have fun. The Finnish educational system also believes that children should be more relaxed and playful rather than stressed in school. Considering those, it is already evident that this country is oozing with exciting activities for the family. One of the most famous destinations in Finland is the Väski Adventure Island, an island filled with fascinating adventure worlds such as the Pirate Harbour, Smuggler’s Forest and Fishermen’s Village. Another top attraction for the family is the Särkänniemi Adventure Park which features a children’s zoo, art museum, aquarium and lots of rides. In Finland, expats will experience long summer days that are great for outdoor activities. Despite this country’s modernisation, it still managed to maintain its vast wilderness, landscapes and lakes that are great for walking, jogging, swimming, camping and cycling. Finnish are also love sports, and almost every local belongs to a sports association or club. Football is popular among the youth while the adults spend their leisure time playing golf. Expats who are passionate about hunting, hiking and fishing can contact the Ministry of Forestry to get hold of an Excursion Map which will show them all the marked trails and huts in Finland. This country also has an extensive list of unique sports contests that mostly take place during the summer season. One of the games is the Wife Carrying World Championship where the grand prize is the wife’s weight in beer. Another popular sport in Finland is the Swamp Soccer World Championship which is one of the messiest sporting events on earth. Finnish is the official language in Finland which is spoken by 93% of its 5.5 million inhabitants while another 6% speak Swedish. Expats will also find a huge number of English speaking locals particularly the young and those who live in major tourist destinations such as Helsinki, the capital. The Finnish society is egalitarian. Here, everyone is given the equal opportunity to succeed regardless of one’s gender, religion, nationality and sexual orientation. The locals are also known for being humble and they are quite modest when it comes to their success in achievements. Expats in Finland should be courteous because the locals believe that it is the right way to act under all circumstances. Avoid talking to loud and refrain from calling unnecessary attention to yourself. Always listen and wait for the speaker to finish talking because interrupting is considered extremely rude in this country. Sauna also has a significant role in the Finnish culture. It is one of the oldest and most preserved traditions that are still being practised to this day. Going to the sauna is an activity enjoyed by friends and family. Even business meetings often end up in saunas. Expats who will be invited to a Finnish home can bring chocolates or wine to the host. Never give flowers in even numbers and avoid dotted plants as well as yellow flowers since the latter is used for funerals.